Welcome to Creative Laser Solutions Military gift index. 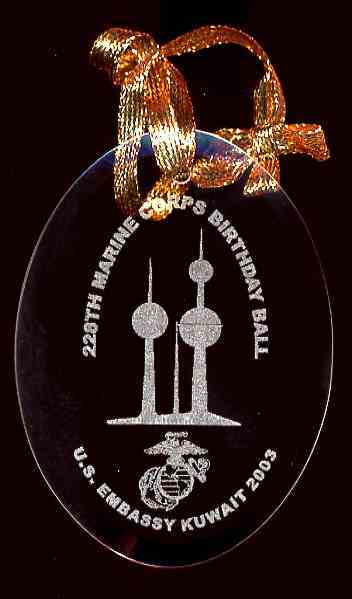 We offer personalized beveled glass ornaments, custom laser engraved with you special logo, text or images. We specialize in quick turn around's. Our Military gifts are a great way to recognize your troops achievements. Our custom cherry wood box's engraved with unit insignia and a special message are great to keep metals in. Our Personalized Military balls are a great way to show your appreciation for their service no matter what branch you are in!